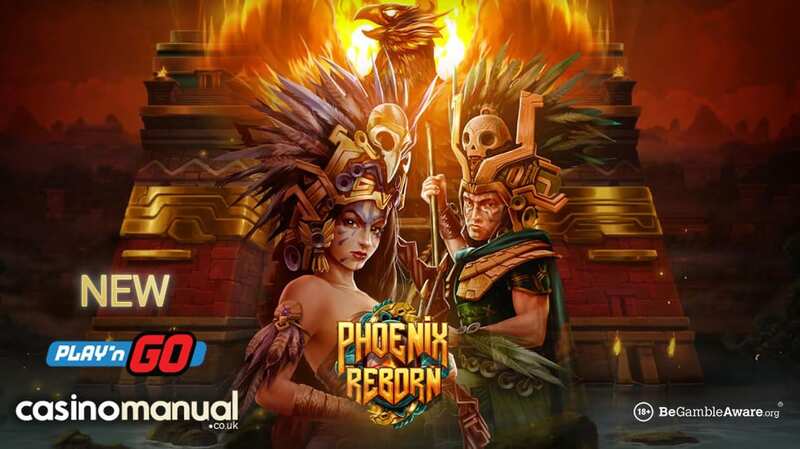 When it comes to super volatile video slots, Play ’N Go are one of our go-to developer and they’ve just unleashed another new game on the online casino world in the form of Phoenix Reborn. It’s a 5 reel, 40 payline video slot that’s based on the mythical bird that regenerates itself from the ashes of its predecessor. The setup of Phoenix Reborn is a little unusual. The action takes place on a 5 reel, 6 row machine. There you’ll find the regular assortment of lesser paying shape symbols and more rewarding pelicans, snakes, big cats and warriors. The female warrior is the symbol you’ll be hoping to see as she delivers the biggest potential payouts. Landing 5 on a payline pays 10 times your total bet. That might not sound like a huge amount but the warrior (and her male equivalent) can spin in stacked formation and fill the whole of multiple reels. Also able to fill entire reels is the phoenix. The resurrecting bird is the wild which substitutes for all of the standard symbols. The other symbol to keep an eye on is the gold mask which is the scatter. Landing 3, 4 or 5 of these anywhere on the reels will get you 7, 12 or 20 free spins in the Free Spins feature. The phoenix wild features heavily – at least 1 reel will be filled with a stacked wild on each free spin. Landing just 2 scatters adds another 3 free spins to your total. You’ll get a full re-trigger if you see 3 or more. That’s your lot as far as features go. Phoenix Reborn is a very simple game. In keeping with a Play ’N Go video slot, it’s also an extremely fiery one with potential payouts of 5,000 times your bet on free spin. At times it can feel like your bankroll has sailed a little too close to the sun. If the stacked phoenix wild work sits magic in the feature, then watch out. It’s not the most complicated game you’ll see but if you like the myth and legend theme and high variance play, then Phoenix Reborn is one to investigate. 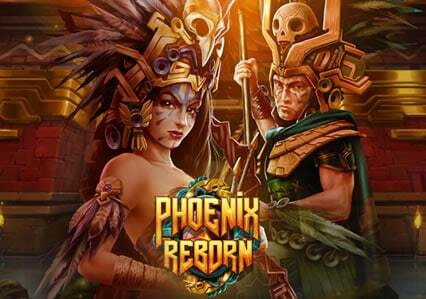 I recommend you play Phoenix Reborn at BetVictor Casino. With video slots from Blueprint Gaming, Microgaming, Quickspin, Thunderkick, WMS, NetEnt, NextGen Gaming and Play ‘N Go amongst others, you need to deposit just £10 to get an exclusive £70 worth of bonuses. Focused on UK players, they process cashouts quickly and offer regular promotions.